Kentisbeare Parish Council came to Cosmic requiring a new, modern website for their Parish that would have the ability to be a great service for Kentisbeare residents and its visitors. The website Cosmic developed is mobile responsive, and uses a blend of earthy colours alongside the great photos supplied by the Parish. The website showcases the details of the local churches, village halls, businesses, clubs and services, as well as news, events and details of the council. 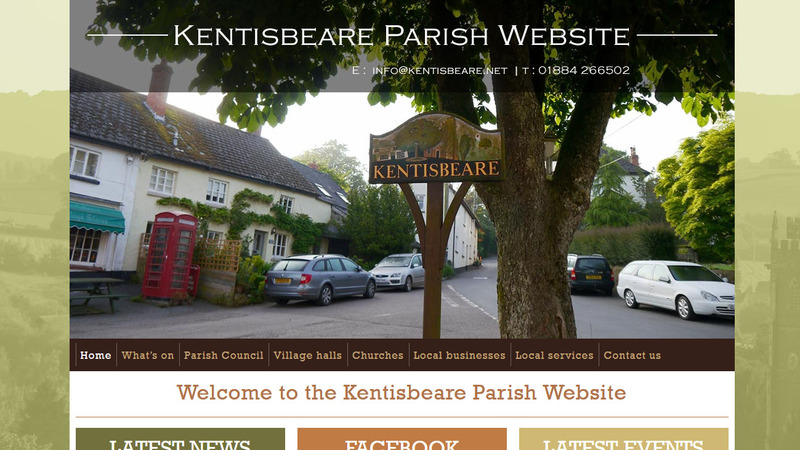 You can take a look at the Kentisbeare Parish website by going to kentisbeare.net - be sure to let us know what you think!